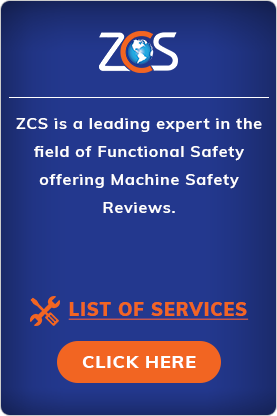 ZCS offers Machine Safety Reviews (CSA-Z432 & ISO 13849 reports, PSHSR), Turnkey Safety and Electrical Upgrades, Machine Re-Controls, Electrical Inspections co-ordination using an in-house team of Professional Engineers, Electrical and Mechanical Designers, Licensed Electricians, Project Managers & TÜV Certified Functional Safety Engineers. 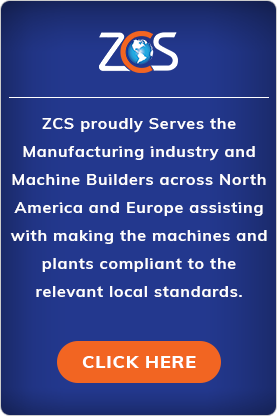 ZCS will be a proud exhibitor (Booth # 761) at the upcoming “Partners in Prevention trade show” being held at The International Centre in Mississauga (ON) from April 30-May1, 2019. 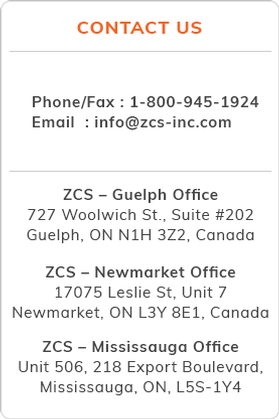 Trade Show Passes valued at $29.00 are available to our clients for FREE. 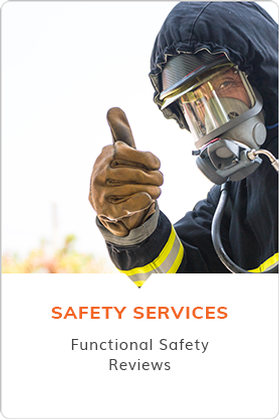 Click here to access the form or feel free to contact us for further information. 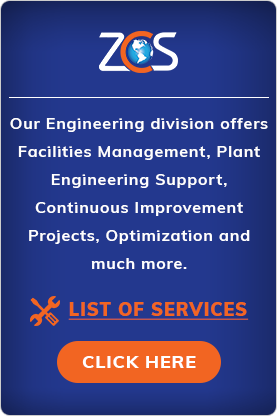 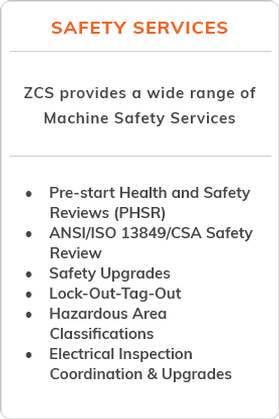 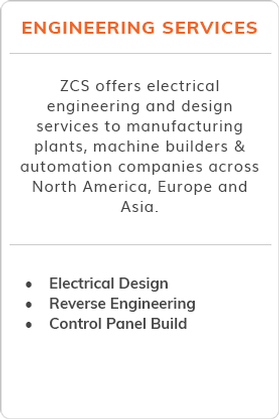 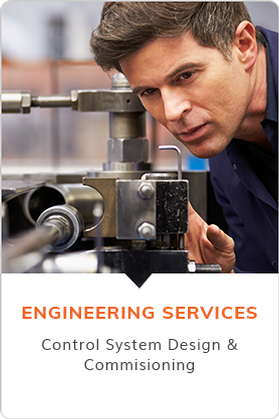 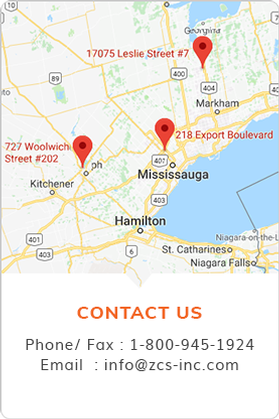 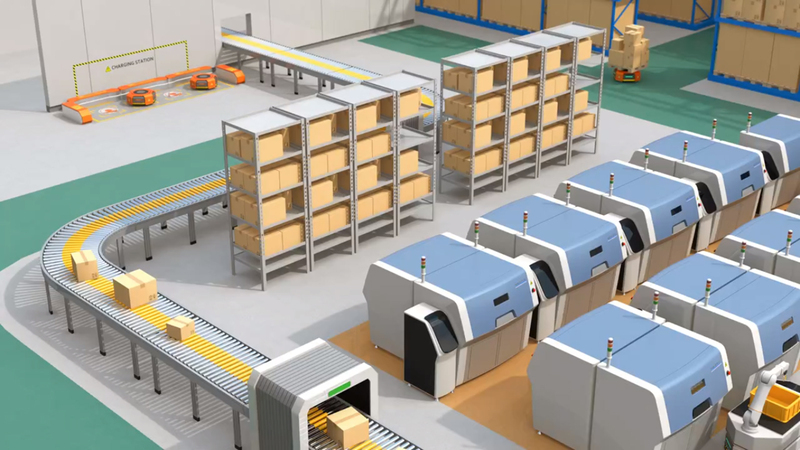 Contact ZCS - safety engineering business for a wide range of machine safety services across Ohio, California, Cambridge, Michigan, Mississauga, Brampton, Burlington, Kitchener, Barrie, Oakville, Vaughan, Richmond Hill, Aurora, Newmarket, Guelph & the surrounding areas.